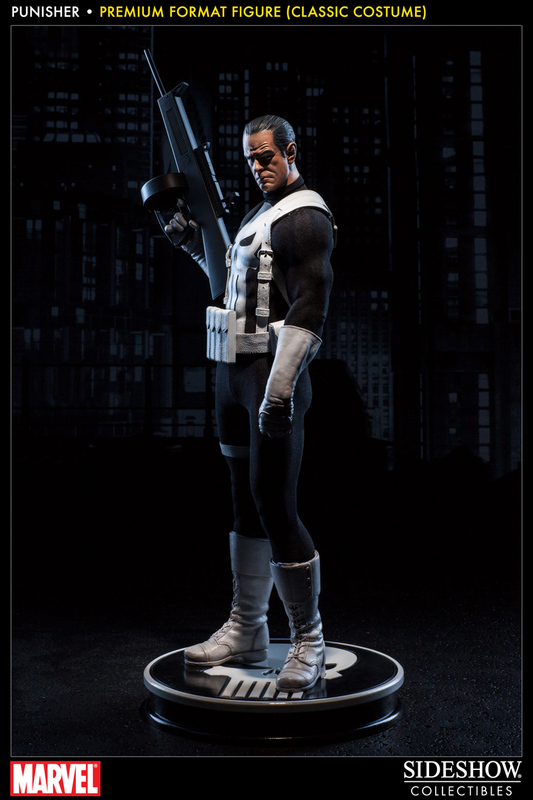 "Our next Premium Format figure features Marvel’s vigilante, Frank Castle, ready to wage his relentless one-man war on crime. 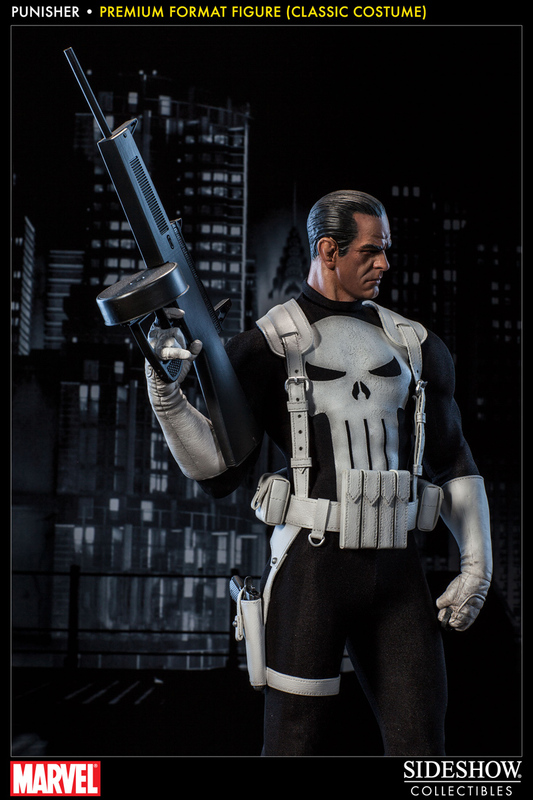 The Punisher is decked out in a full fabric classic comic design costume with the iconic Death’s Head symbol, and a simulated leather harness with pouches and holster. 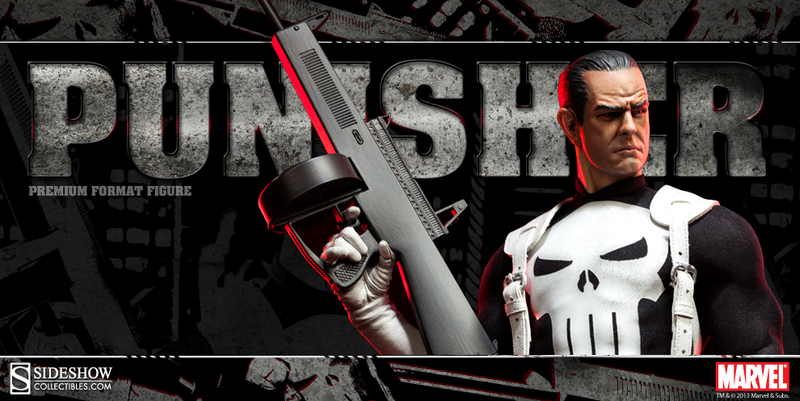 We’ve armed him with an automatic shotgun, holstered pistol, and a concealed trench knife. 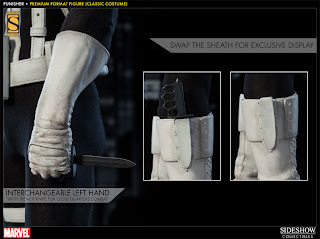 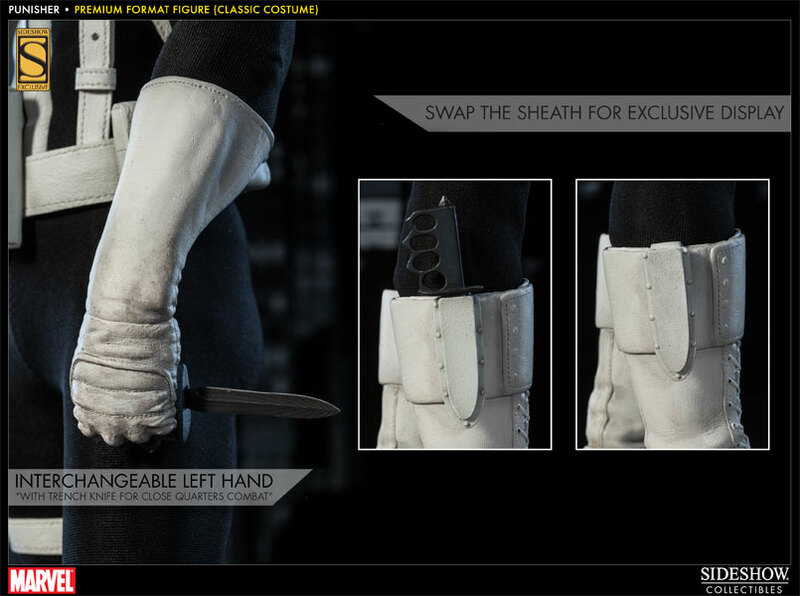 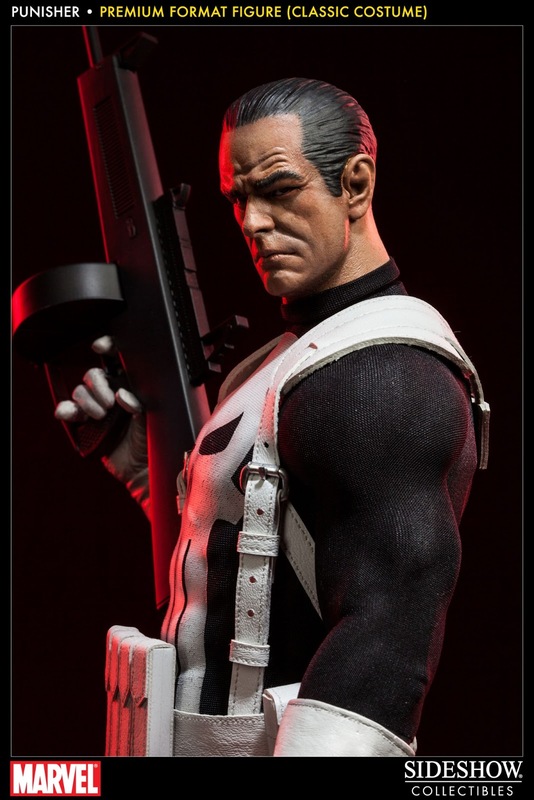 The Exclusive Punisher Premium Format Figure – Classic Costume will include a swap-out sheath and interchangeable left hand gripping the trench knife for close quarters combat.